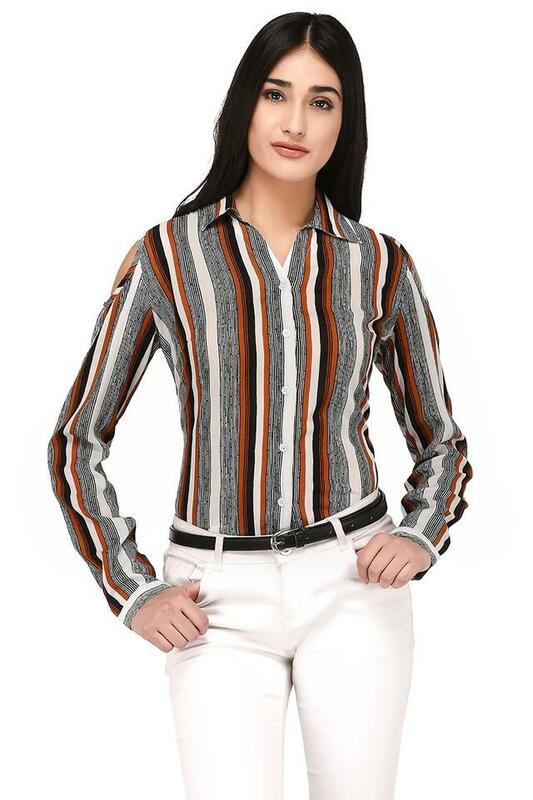 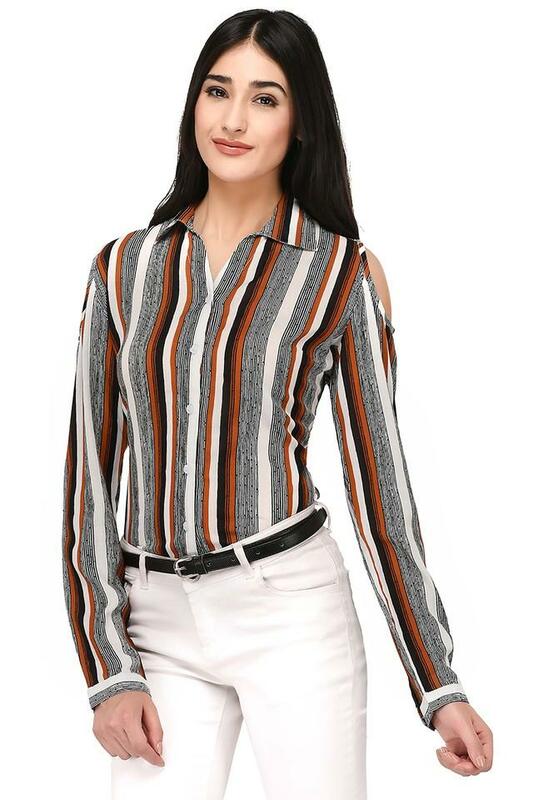 Everyone will swoon over your stylish look as you step out in this shirt, brought to you by Purys. Featuring a stripe pattern, it looks classy while the collared neck and cold shoulder sleeves further give it some edge. 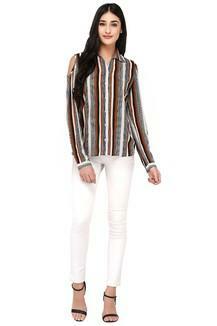 Besides, it is quite comfortable to wear owing to the use of superior quality viscose rayon in its tailoring. 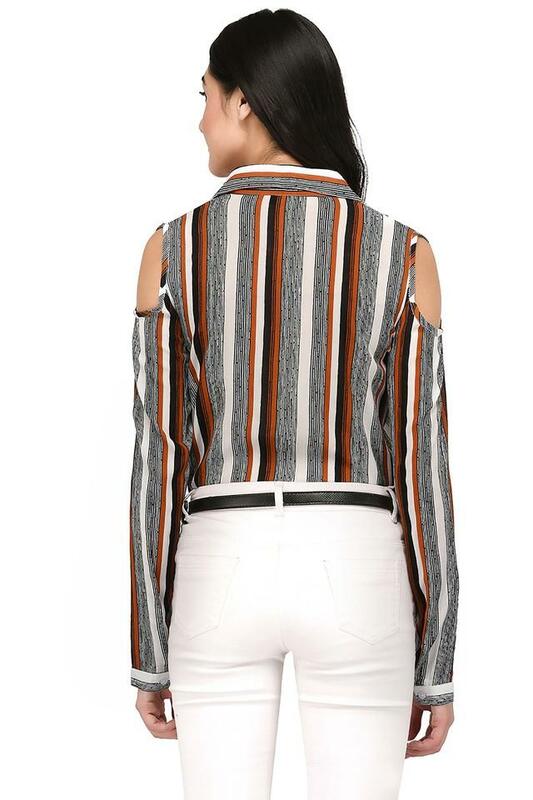 Add this shirt to your wardrobe collection, if you want to look chic. You can style it with a pair of jeans and boots to make heads turn.